Restaurants keep the city of Dallas alive. Other big cities can boast about their restaurants, but dining out is what people do in Dallas. Whether it’s fast food,economy dining, a meat and three, a white tablecloth restaurant, cupcakes, or popsicles, your post-work social plans will most likely include some type of grub. 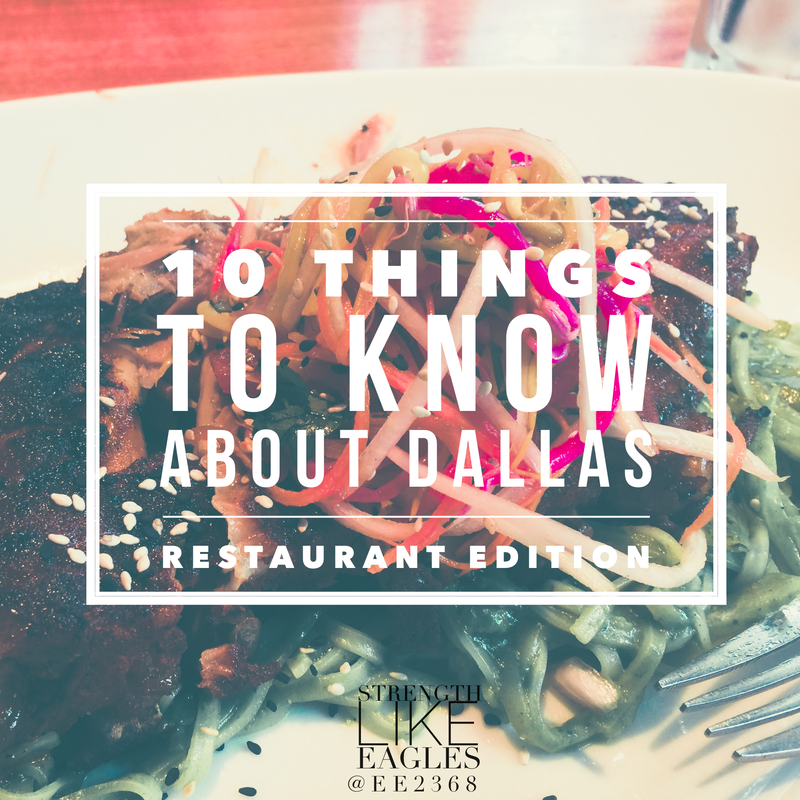 I’ve highlighted ten restaurants you need to visit while you’re in Dallas. 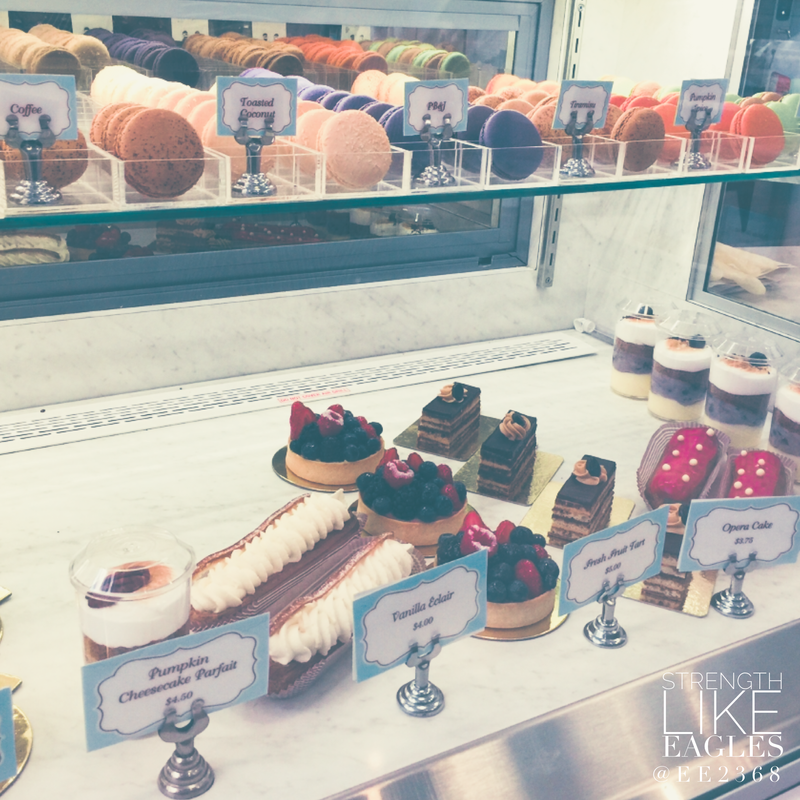 Towards the end, I’ve also included a few sweet spots – Dallasite favorite places for dessert. 1. HG Supply Co. In a city that’s inundated with restaurants, you have to make yourself stand out, and the menu at this trendy hotspot does just that. With all kinds of creative options, they’re known for their bowls of savory goodness. Also, they brew their own beer with natural infusions. If they still have it, try the blood orange and honey brew. So smoothe. Oh, and before you walk in the door, brace yourself for an overload of all things trendy, both in the decor of the place and in the attire of Dallasite customers. Check out their menu. 2. Bread Winners Cafe. Brunch is a big deal in Dallas, and most restaurants serve brunch on Saturdays and Sundays. Bread Winners Cafe is a local favorite among Dallasites, especially for brunch, and they’ve got the goods to back up the hype. From bacon pancakes to chicken & waffles to yummy scrambles, you’ll want to wake up for this. 3. Malai Kitchen. You would think that the best ribs in Dallas come from a BBQ joint, but Malai Kitchen is a worthy contender. This West Village hot spot features Thai & Vietnamese cuisine with flavorful dishes. Their Vietnamese Barbeque Pork Ribs don’t need sauce because of the flavor of the ribs. 4. Kona Grill. This is probably my favorite restaurant in Dallas. Okay, you got me, I have a lot of favorites. However, this one wins my vote in the best overall category. The atmosphere at Kona Grill is comfortable and swanky, the cocktails are smoothe, and their menu features many categories of cuisine from sushi to pasta to burgers to steaks.. My favorite is the burger that comes with applewood bacon. 5. Raising Canes. We’re taking a turn here to a Texas-based fast food stop. They have the best sweet tea in Dallas. It’s a fried chicken kind of place, and they give you big pieces of chicken. They also serve crinkle fries and a yummy sauce. Oh honey, I need to stop talking about this. I miss Raising Canes. 6. Al Biernat’s. Save this one for a special event because the menu, service, and atmosphere will spoil you rotten. This one is the priciest on the list, but you get what you pay for. The chefs are masters at their craft, and if you’re craving something that isn’t on the menu, you can request it and they’ll cook it for you. You wouldn’t notice the luxuriousness of the restaurant from the street, but that’s the point. Al Biernat’s is a hidden gem of Dallas. 7. La Duni. A quaint restaurant with a few locations in Dallas, La Duni serves a range of declicious entrées paying tribute to Latin cuisine. I recommend the chori burger. 8. Truck Yard. This one is on the list mainly because of its atmosphere. Truck Yard features an outdoor space that rotates through a schedule of food trucks. You’ll find live music and a hip scene. 9. Taco Joint. Owned by folks at Chuy’s (a Tex-mex joint based in Austin), Taco Joint is basically Chuy’s but on even more of an affordable scale. Chuy’s menu is already well-priced. Right now there are two Taco Joint locations, and there is soon to be a third. The best location to go to is the one off Mockingbird Lane. They serve breakfast tacos (get the migas tacos with creamy jalapeño sauce) all day. If you find yourself near Baylor Medical Center, there’s a Taco Joint nearby. 10. State & Allen. This is another local favorite in Uptown and a relaxing brunch destination. State and Allen features a big patio that is perfect for you and your group, especially if your group includes dogs. (Oh, that’s another thing I should tell you. Dallas is a dog friendly city. I’ve met more dog people living in Dallas than anywhere else.) Try the steak and eggs with avocado slices. 1. Bisou-Bisou. They have the best macarons in Dallas. 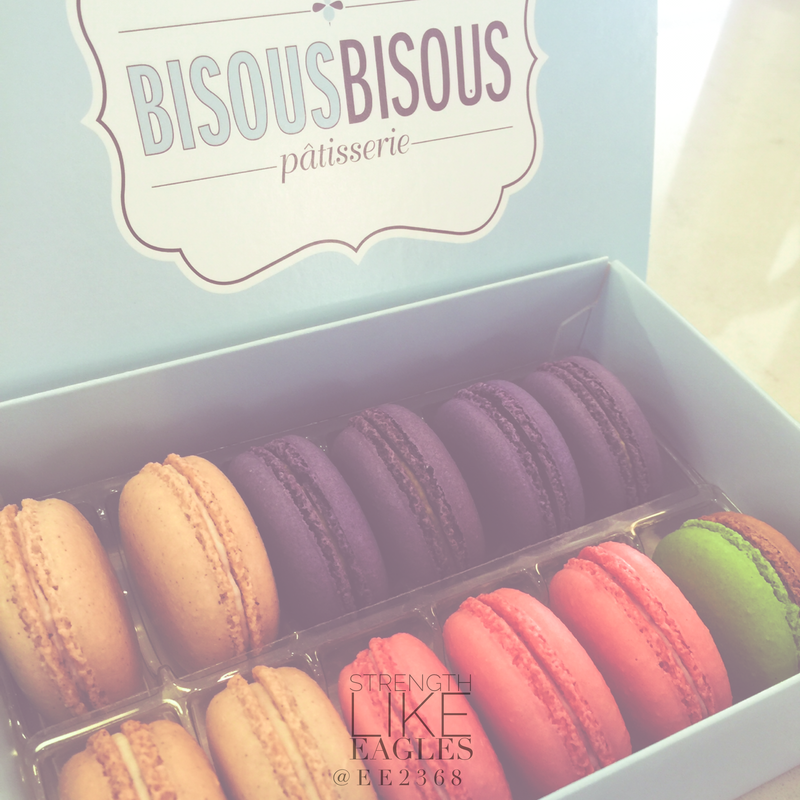 Twelve yummy flavors that come in these cute little boxes, oh they are just delightful. It might sound odd, but my favorite flavors are PB&J and raspberry. 2. 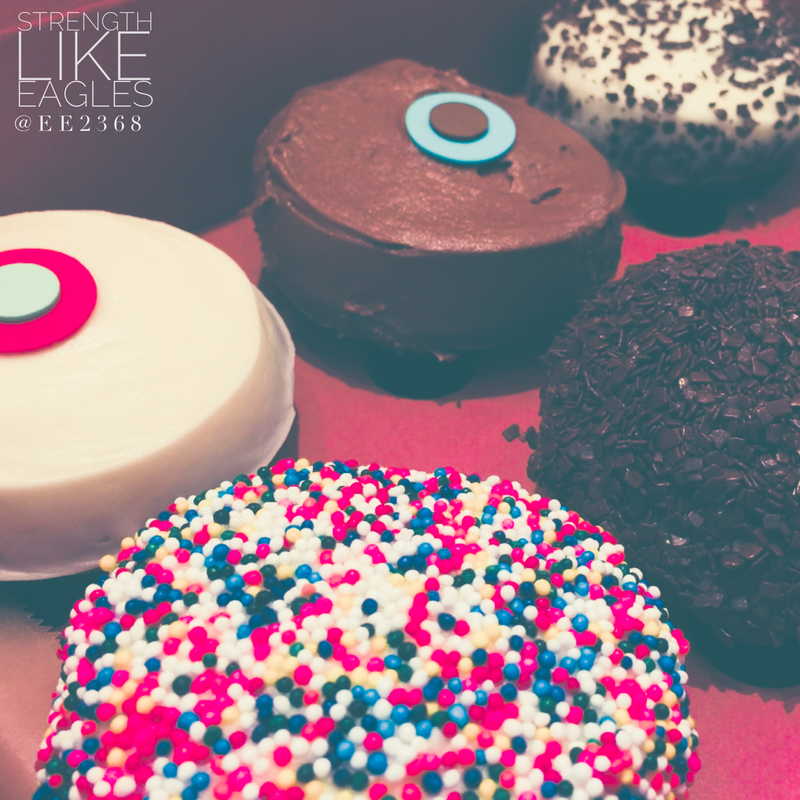 Sprinkles Cupcakes (Ice-Cream & ATM). 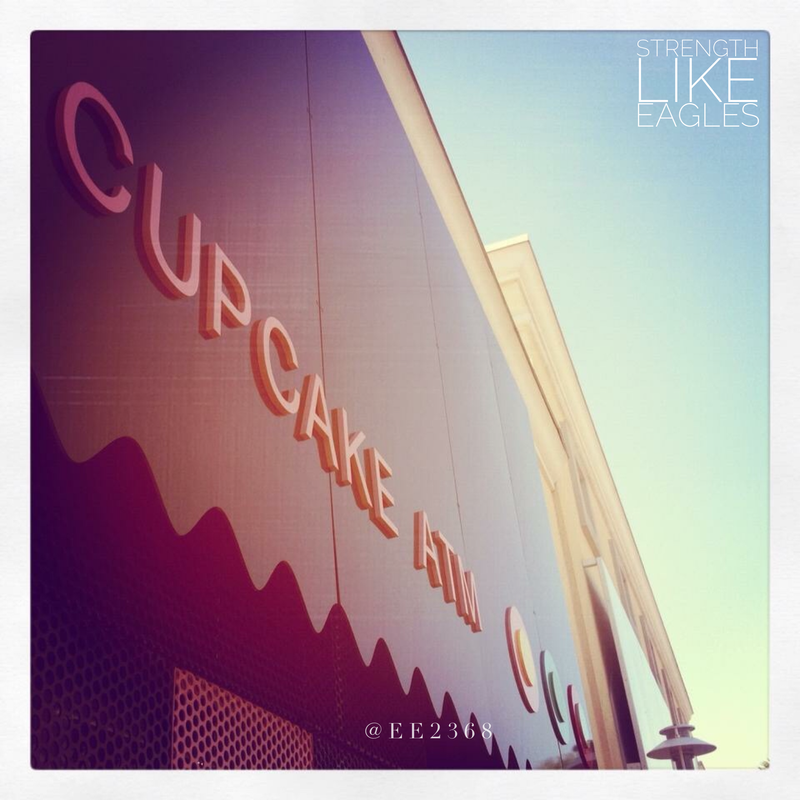 You’ve probably heard of the Sprinkles in Los Angeles and how the line goes out the door down the street. The Dallas location is no different. Their red velvet cupcake is what they are known for, but you can find other delicious flavors such as dark chocolate, s’mores, peanut butter, etc. If you don’t want a big cupcake, you can get a mini one. However, if you can’t get enough sweetness, ask for a shot of icing or step next door to get a cupcake sundae. They cut a cupcake in half, plop a generous scoop of the ice cream of your choice between the top and bottom of the cupcake. My pick is the red velvet cupcake with red velvet ice cream. 3. Steel City Pops. Okay, this is where my inner snob/hipster comes out, because I’m partial to the original location in the place of my roots: Birmingham, Alabama. People talk up how much they love Steel City Pops in Dallas, and I can’t help but brag about the original one in Birmingham. My Dallas friends are tired of hearing me talk about it, because I bring it up every time someone mentions it. I also point out that the wall in the Dallas location has a mural of both the Dallas and Birmingham skylines. It’s beautiful. 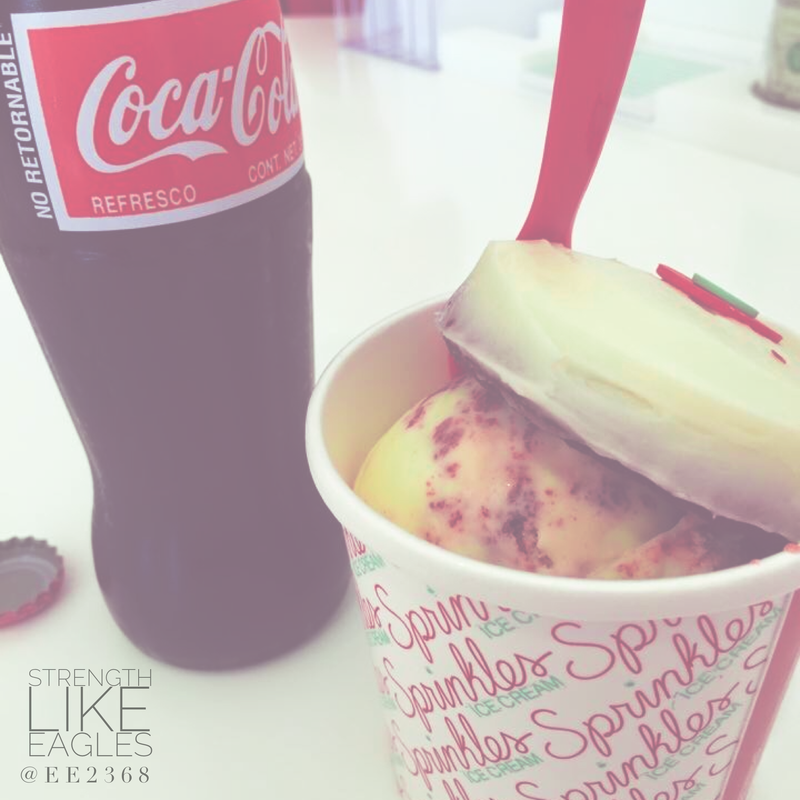 Whether you visit the one in Dallas (there should be two by now – one in Lower Greenville and one in the Casa Linda neighborhood) or the one in Birmingham, Steel City Pops is the place to go for a sweet treat. Yes, even in the wintertime. My favorite is the vanilla chocolate chip cookie pop, which they were out of the last time I was there. What are some of your favorite restaurants in Dallas? Dallas is a fun city. There’s a lot to do, thousands of places to eat, and many recreational activities. 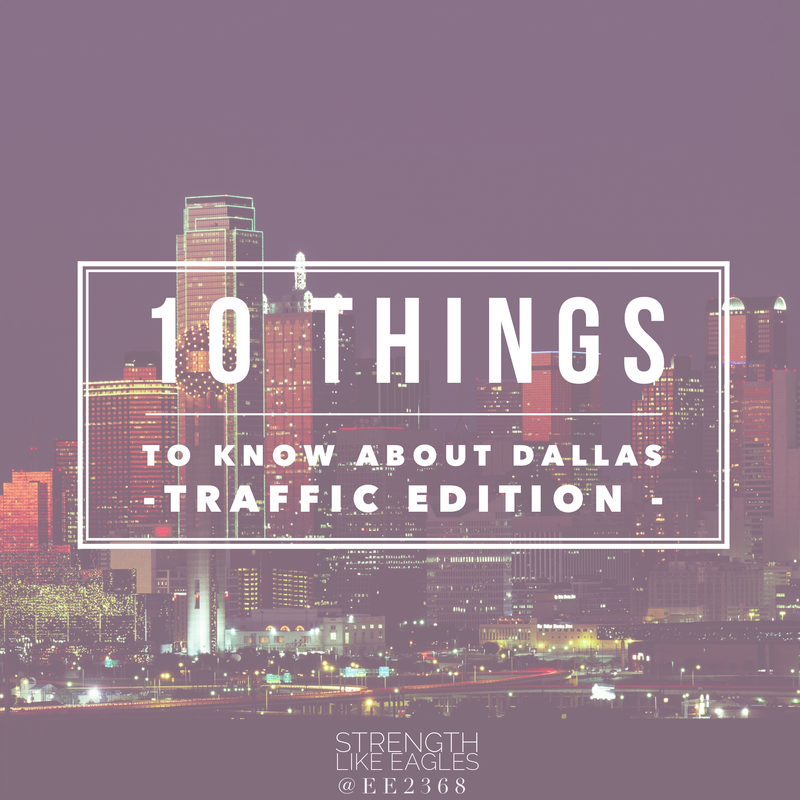 To get anywhere in the metroplex, you’ll most likely drive, so you need to be aware of a few things. Having lived there for four years during graduate school, I know my way around the city and now offer you some advice. 1. Dallas is a driving city. The metroplex is big, but it’s not a walking city. If you want to get anywhere in the city, you need to leave at least 30 minutes ahead of time. Yes, there is public transportation, but because everything is so spread out, you still may have to walk forever to get to your destination. 2. Parking can be brutal. You know how Southern women are obsessed with monograming everything? Well, every business in Dallas must be owned by a Southern woman because each parking space has the name of a business on it. If you’re planning on having a meeting at a restaurant in just an hour-long lunch break, pick a restaurant where people can park easily. That is, if you want to meet for the whole hour as opposed to a shortened break since no one could find a place to park. 3. Saturday traffic can be as crazy as weekday rush hour. No joke. You have plans to travel along North Central Expressway for some Saturday lazze fare shenanigans and surprise! You get on the expressway only to find that it’s a parking lot. It can also be this way on LBJ or the tollway. 5. When driving through an intersection with a yellow light, make sure you have enough momentum to get to the other side before the light turns red. If not, check your mailbox for a $75 ticket with a photo of your car running a red light. Some intersections will even have video evidence. Don’t worry, it probably won’t end up on YouTube. 6. Potholes. They’re everywhere. Even in the nice parts of town, you’ll come across these little boogers. 7. Try not to get distracted by the opulent vehicles that swarm the city. BMW, Lexus, Mercedes, Land Rover, Audi. All of these are considered pocket change in comparison to the more luxurious breeds such as Ferrari, Lamborghini, Ferrari, and Bentley. Oh, but don’t be too judgy about it. If you live in Dallas long enough, you’ll convince yourself that you need one. 8. Church parking. Well, this one is common in many cities, but what distinguishes Dallas from the others is that church services fill up so heavily that people have to come back to a later service because the current one is too full. 9. Even though Dallas gets really hot in the summer, you’ll be surprised to find that the roads get really icey during the winter. No reason to complain, however, because you get to stay home while the city of Dallas figures out what to do with this odd thing called “ice.” Get your necessary supplies from the survivalist section of Walmart. Yes there is such a section in the Walmarts of Dallas. It’s where the hunting gear would be. 10. You’re never far from a Starbucks (or a quaint, local coffee shop), and you’ll need something to sip on while driving to your destination. How else do you think a big city keeps going? I’ve heard the most interesting conversations while studying in Starbucks. That time I was staring at my laptop while seemingly in a daze of writer’s block? Confession: I was actually distracted by a director pitching a movie to potential supporters, by a bride-to-be detailing the events of her special day to a wedding planner, by musicians warming up for a performance at the country club, and by a store manager interviewing a potential new hire for a fashion boutique. You’ll notice that I didn’t say anything about incompetent drivers in the list, but now that I think about it I do need to warn you. Those big rigs drive in the left lane and they will cut you off. Do not try to get in a driving battle with them. Also, you’ll see a line of traffic in the left lane and wonder why it’s so backed up before noticing the one car that’s holding up the rest of the lane. See why you need a Starbucks to sip on?